Undergraduate click here to see Step1. Tuberculosis screening is required of all incoming international students. This testing must be completed upon your arrival at OSU. This test is performed at the OSU Health Services building, 1202 W. Farm Road between 8 AM and 3 PM. At that time a blood sample will be drawn from your arm to be tested for tuberculosis. This test does not require a second visit unless your result indicates that you have or have been exposed to tuberculosis. It is a more accurate and reliable method of testing for tuberculosis than a skin test. Please complete this form and bring to the health center. This is a mandatory health screening and if you do not complete this during orientation your enrollment will be canceled. Students should note that they will not be allowed to enroll in their second semester at OSU until this form has been completed. It is recommended that you complete this form before your arrival on campus. You can either submit the form in person upon your arrival at University Health Services, or you may send the completed form to: University Health Services, 1202 W Farm Rd., Stillwater, OK 74078. Medical insurance is required for all international students (visa holders) at Oklahoma State University and their dependents as U.S. medical care is extremely expensive. Medical insurance will be provided upon arrival. Fees for insurance will be applied to the 1st tuition billing statement you receive. Please note that starting Fall 2014 UHS NO LONGER accepts insurance waiver (even for those who have already purchased their own health insurance). All international will be enrolled in university's insurance. Oklahoma State University Student Health Insurance Plan 2017-2018 Rates Sheet, click HERE. After you have completed, bring the signed & stamped yellow ticket back to ISS office. At ISS to register for orientation and to complete immigration processing. Please be sure to bring with you your I-20 or DS-2019, passport, I-94, and ALL other immigration documents. U.S. Citizenship and Immigration Services (USCIS) regulations require that you check-in with the International Student and Scholars office (ISS) upon your arrival to Oklahoma State University.The ISS Office is located at 250 Student Union. Once you arrive at our office to check-in we will make copies of your immigration documents, issue continued attendance documents and review the student check-in list with you This check-list includes information on meeting with your academic advisor and enrollment, obtaining your student I.D. card, change of address forms, information on the required orientation sessions and any placement tests that may be necessary. If you are a student sponsored by an embassy, agency, or company, bring the letter of sponsorship complete with billing address and contact person to the Coordinator of Sponsored students at ISS. This will ensure that you will not be billed personally for tuition and fees. Contact your academic department to set up an appointment, and then go to your department with your Enrollment Permit (issued to you in the ISS Office) to meet with your academic advisor for enrollment advising. Get a Student ID card at 421 Classroom Building (must have a copy of your current class schedule in order to obtain your Student ID). Schedule of times and locations will be given to you at the time of registration for the orientation. International Student Orientation provides important information on immigration, legal, health and academic issues. All new international students (including transfers from U.S. institutions) are required to attend and complete our International Student Orientation program. Many current international and American students volunteer to assist during orientation so it gives newcomers an opportunity to make new friends upon arrival. You can find the current orientation schedule HERE. Visit HERE for your scheduled orientation. As an F-1 or J-1 student you may only work a maximum of 20 hours per week on campus. Violations of these restrictions could result in loss of immigration status and possible deportation. Students planning on working while at OSU must attend Employment Sessions listed on your orientation schedule which will be available at the time of registration with ISS (several times and dates will be offered for your convenience). Visit HERE for schedule sessions. The USCIS requires all students to report any change of address within 10 days of change. 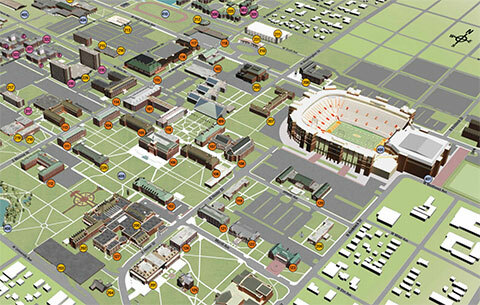 Update your address in the Student Information System at my.okstate.edu. Please remember that “local address” must be a U.S. address and cannot be a P.O. Box or the address for your academic department. If you are a graduate student that needs to take the TELP exam, you will need to register with University Assessment and Testing Center (UAT). Students must register for the test before 5:00p.m. on TBA. The test will be offered at 107 UAT on the Stillwater campus with time and (test date: Aug.15 9am. Registration closes on Aug.14 8:30am. / Website: http://testing.okstat e.edu​). Please check ISS website for updates. To register for ITA exam, visit HERE. If you have any questions or need any assistance, please do not hesitate to contact us. Address: 250 Student Union, Oklahoma State University Stillwater, OK 74078 U.S.A.
Undergraduates please contact the Office of undergraduate admissions at international@okstate.edu or visit the website by clicking here. Graduates please contact the Graduate College at gradi@okstate.edu or visit the website by clicking here. Student Disability Services (SDS) is committed to providing a community that ensures full participation for students. SDS provides assistance to students that will facilitate their independence and academic progress. Academic support services include specialized testing, classroom accommodations, accessible textbooks, access to/assistance with Assistive Technology (AT), and other services as necessary. Students may request services by contacting Student Disability Services. For information on Assistive Technology and Web Accessibility, please visit the http://access.it.okstate.edu/.